The Tom Keneally Centre Readings, a regular program of authors’ talks, brings Australian writers hand-selected by Tom Keneally into this very friendly and intimate setting. Past authors have included Tom Keneally himself, Frank Moorhouse and Stephen Sewell. 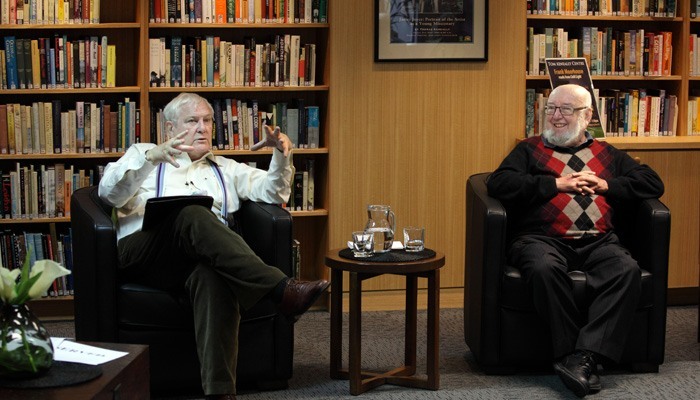 On occasion,small writing workshops are held in the Tom Keneally Centre, giving aspiring writers the opportunity to learn from well-known published authors. The Tom Keneally Centre is also used for other related activities such as book launches and book discussion groups. A cultural hub, the Tom Keneally Centre is devoted to Australian literature and history, reflecting the synergy between the SMSA and Tom Keneally’s approach to writing and to life; open access to knowledge, continued learning and social change.